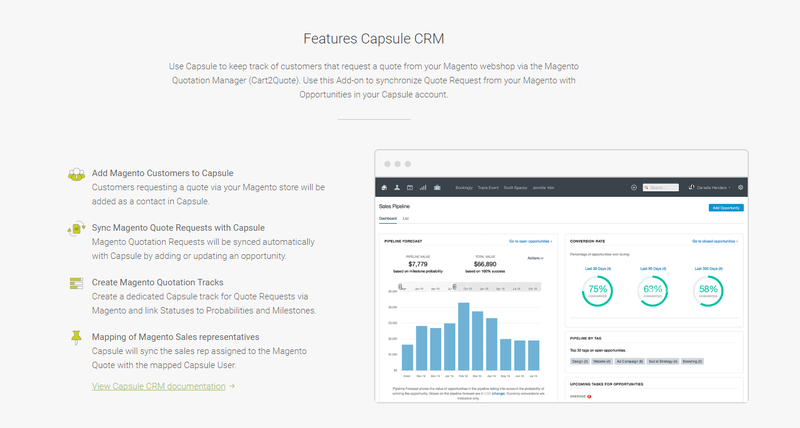 I've integrated Cart2Quote with Capsule CRM. Converting the Quote to a Capsule Opportunity. The integration is done with Capsule REST API.